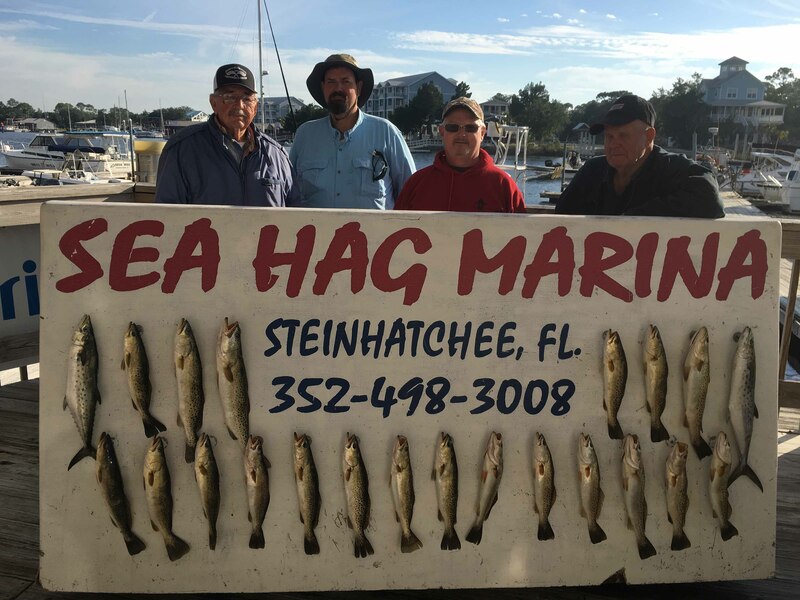 November has been a fantastic fishing month in Steinhatchee. 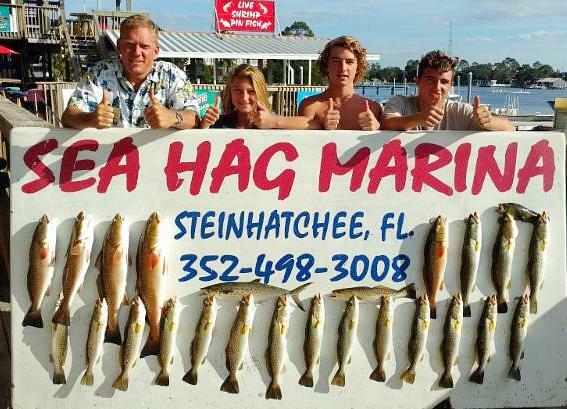 Inshore, the larger trout have moved in closer to shore along with some excellent schools of redfish. Large schools of migrating baitfish have been moving south several miles offshore, with Spanish mackerel and even some kingfish following the schools. Offshore, the gag grouper bite has been excellent. 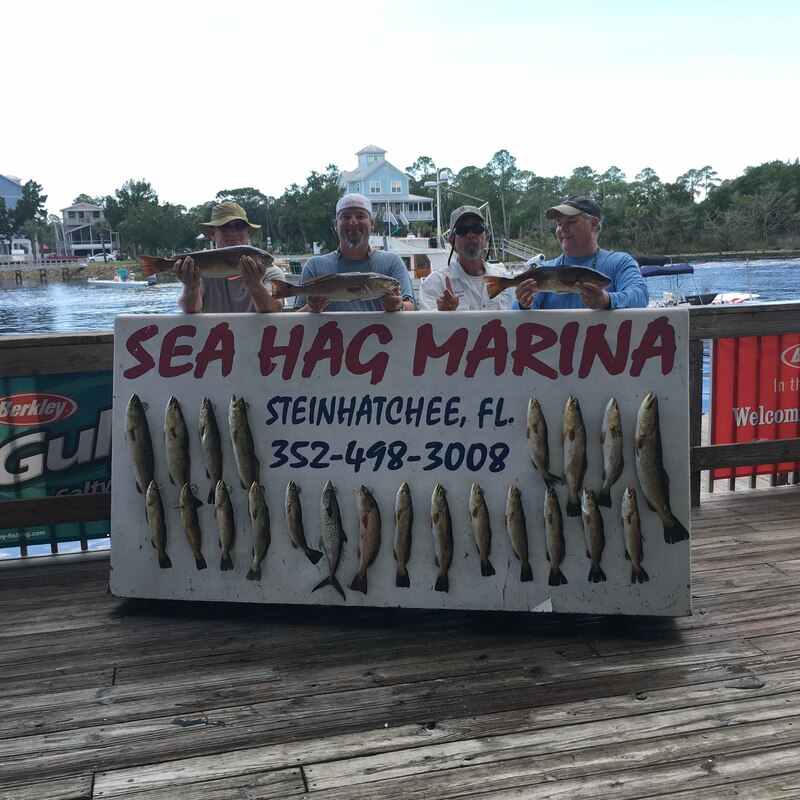 This time of year gags become more active in relatively shallow water, even as shallow as 25 feet. 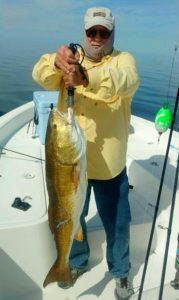 I received one report of a keeper gag grouper caught within a half mile of shore in a large deep cut in the flats. Kingfish have been plentiful for those that can run out in the frequent chop that’s been around for much of the month. I haven’t gotten as many reports of shallow-water cobia as in the past, but they are being taken around deep water structure. 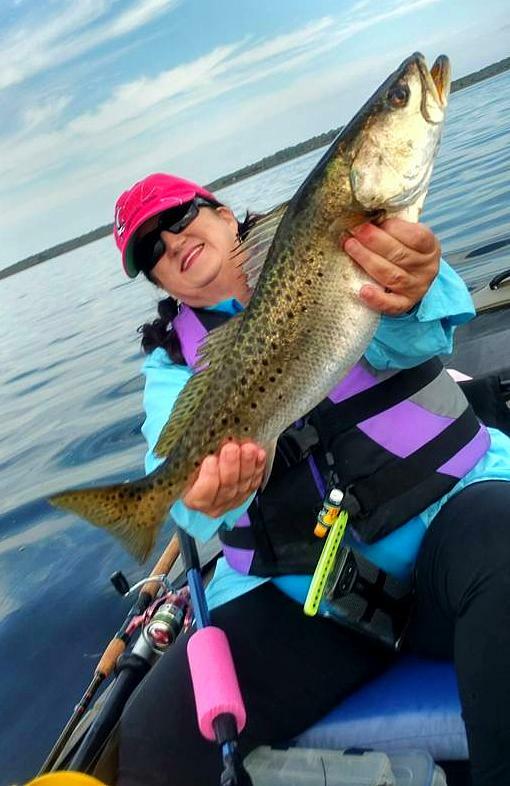 Kendra Murphy caught this gator trout south of the river on a topwater plug. 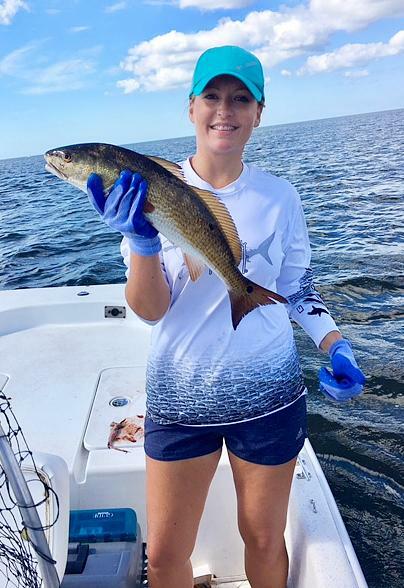 Jamie Blumer from High Springs went fishing with her dad and brought home a redfish for dinner. Little Addie knows where the big trout are, and it’s a secret. 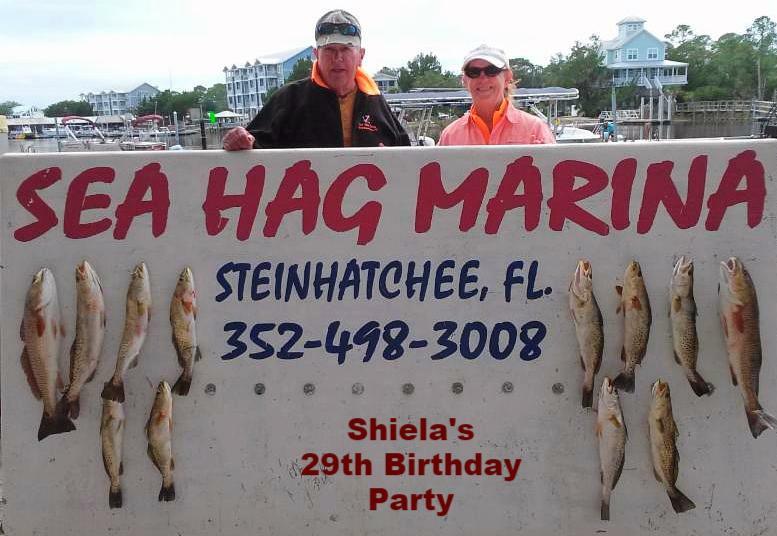 Sea Hag regulars and airboat masters Bill and Shiela Rees celebrated her birthday with this beautiful limit of trout and redfish. 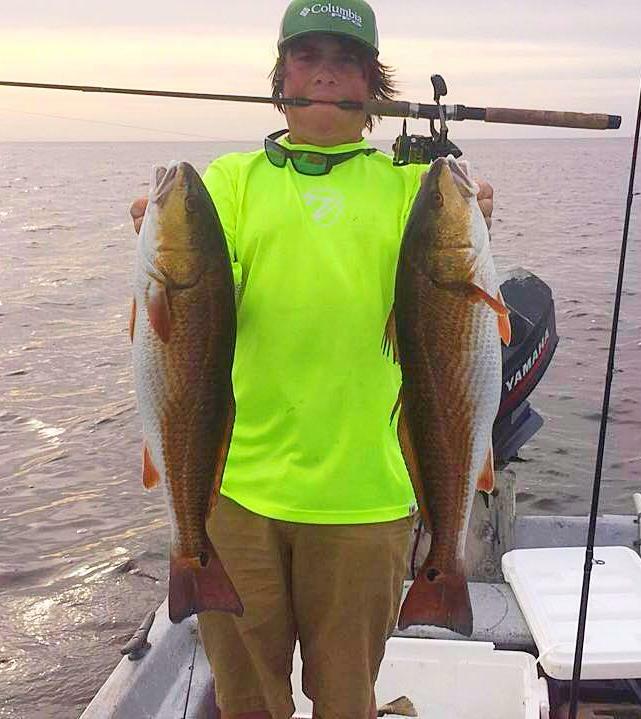 Chase Norwood fished with Capt. 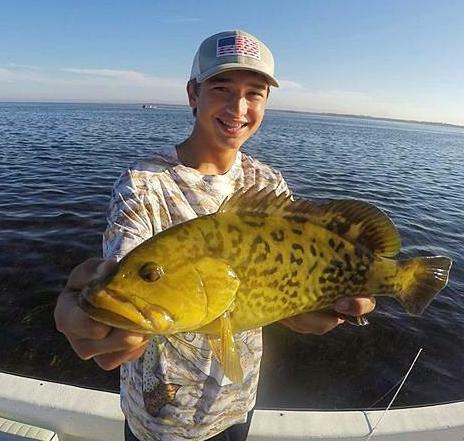 Kyle Skipper and caught this nice gag….and yes, it was on the flats. 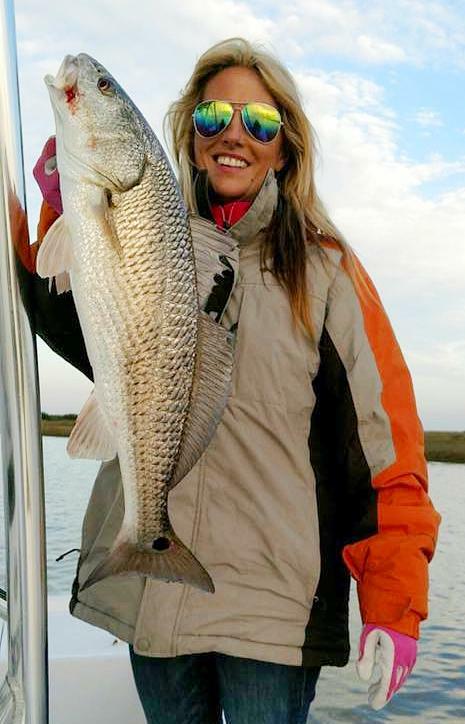 Claudia Sauls found this overslot redfish on a chilly morning. Taylor County Chamber boss Dawn Taylor kayaked her way around Keaton Beach to find this gator. Dylan Webb doubled up near sunset. Ed Salley with a nice pair of keeper trout. 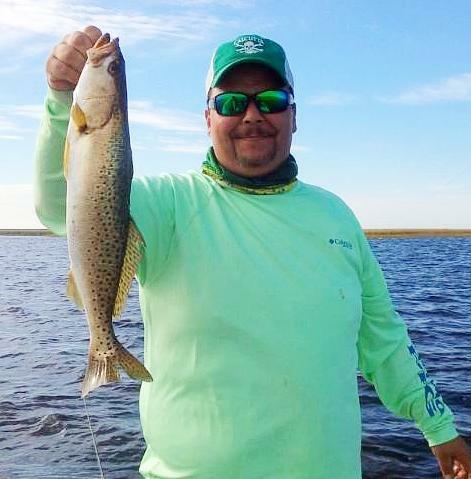 Jesus Lopez with a nice trout from the flats. 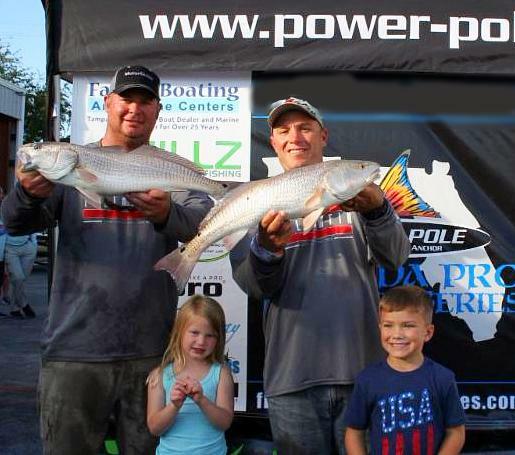 Kris Howell and Nick Drangle won the Florida Pro Redfish event and took home a nice check. If the temperatures stay reasonable (and they are going to be through December 10th), the flats will still be the place to go for both trout and redfish. Some very nice trout have been taken around areas of rocky bottom with rock grass in 3 to 5 feet of water. 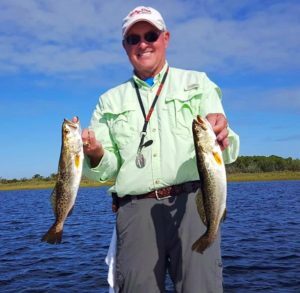 Topwaters have worked well, although you may need to switch to jigs or popping cork rigs if the floating grass is an issue. 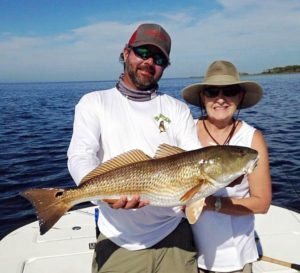 If the water temperature drops considerably, it will be time to scout out deeper holes in the flats and the river. 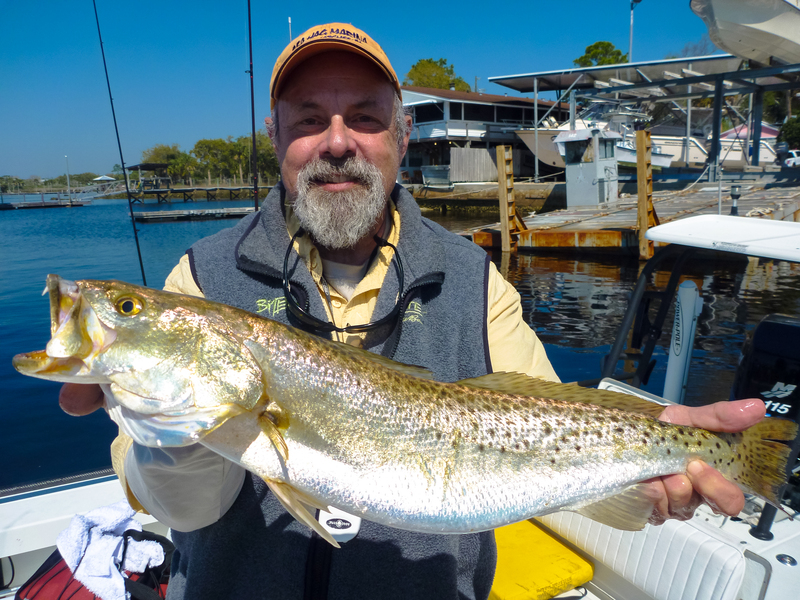 Very cold temperatures will drive trout to deeper water, further away from the cold air. Holes in creeks and on the flats, and the river, are the obvious places when the near-freezing temperatures hit. For a great description of winter river fishing, and specifically in the Steinhatchee River, check out this month’s (December 2016) Florida Sportman Magazine Big Bend Action Spotter, written by our own Capt. Tommy Thompson, for some locations and hints. If I had one major piece of advice for fishing for winter trout, it’s really very simple: SLOW DOWN. 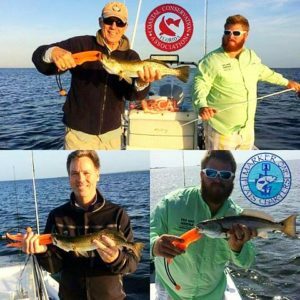 Whether fishing with lures, jigs, or cork rigs, fish are less likely to chase down a rapidly moving bait. My go-to lure in the winter is any slow-sinking suspending lure, such as the Mirrodine series, the Live Target sardines, and especially the Paul Brown lures. 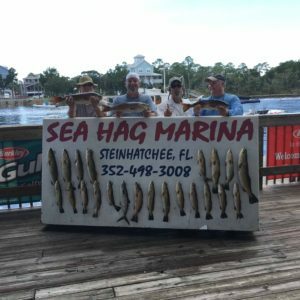 You can get all of these at the Sea Hag Ship’s Store. Live shrimp or Gulp shrimp fished under a popping cork will work as well. 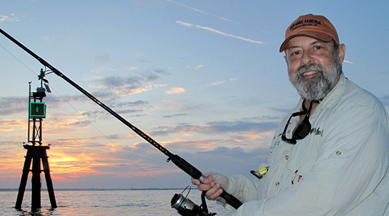 Make long casts, and fish these lures as slow as you can, then cut that speed in half. Many bites in very cold water are very subtle, and using braided line will help you feel those simple taps. When you do feel them, set the hook. 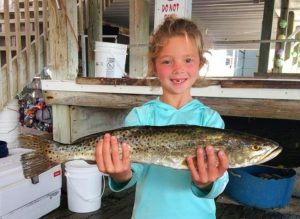 When the trout do come in the river, it’s the perfect time to take your kids out and catch some fish without having to run too far. 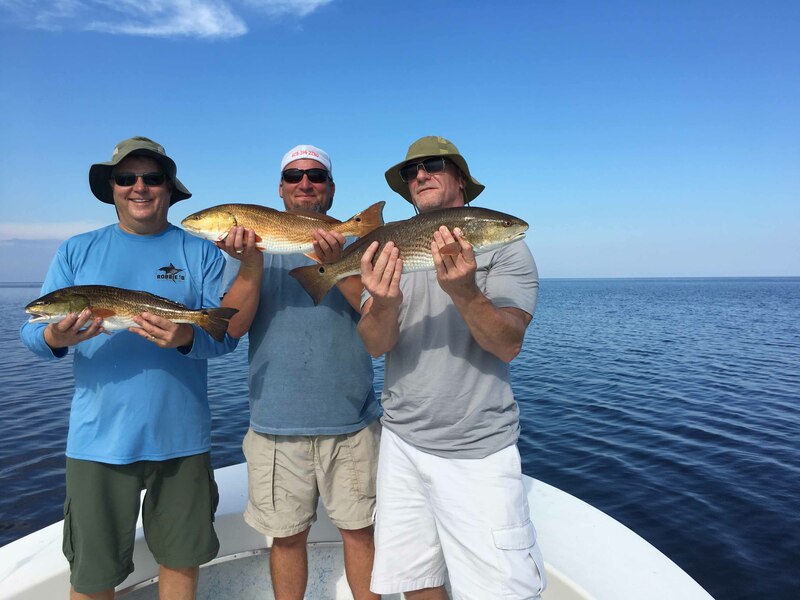 Rent one of our rental boats and we’ll tell you exactly where the hot spots are. 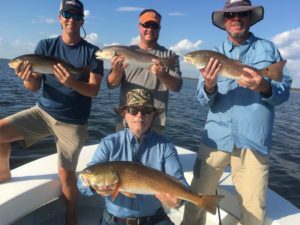 Redfish are not quite as predictable. When the water gets really cold, they just shut down, become lethargic, and you can go right by them in your boat without even spooking them….and they don’t eat well. 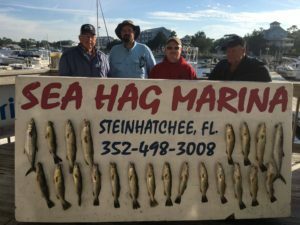 Again fish slow, and if you can get back into holes in the backs of creeks, approach those holes slowly and fish small jigs or live shrimp. 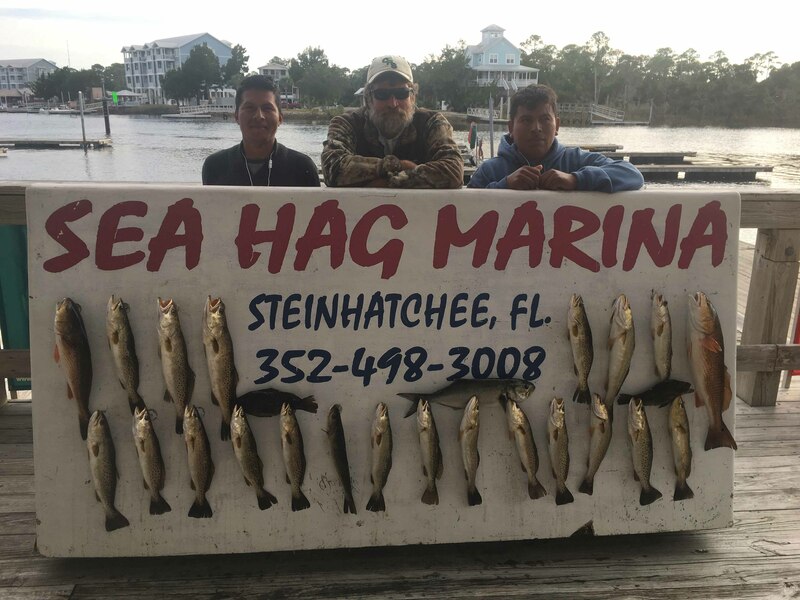 Offshore, live pinfish or frozen squid are working best for gag grouper on structure. 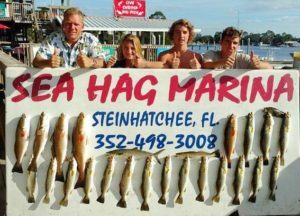 Try trolling diving plugs like the Stretch series over larger areas of live bottom to find some fish. 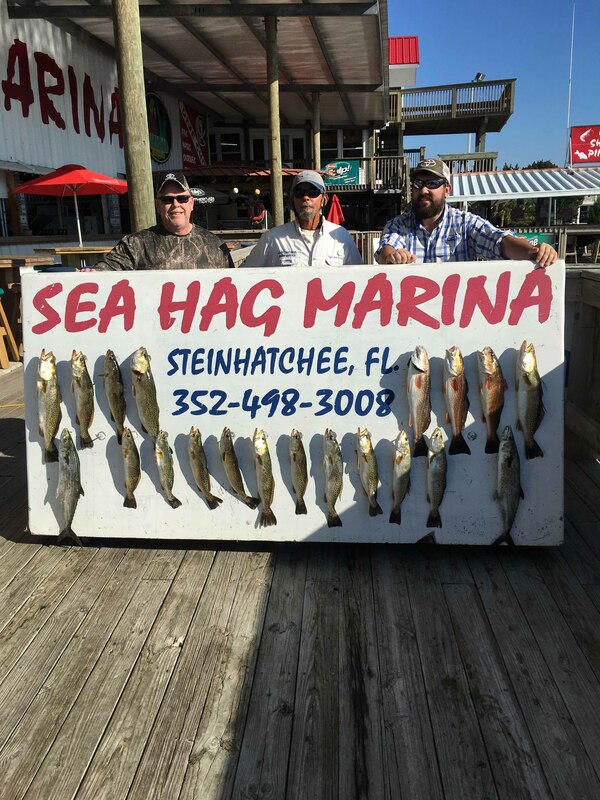 And although it’s a bit early, keep an eye out for collections of sheepshead on the offshore rockpiles. 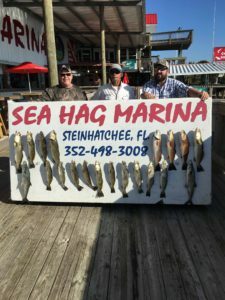 Kingfish will continue to migrate through with the bait schools. Jigs with wire leaders, live baits and spoons will work for both. 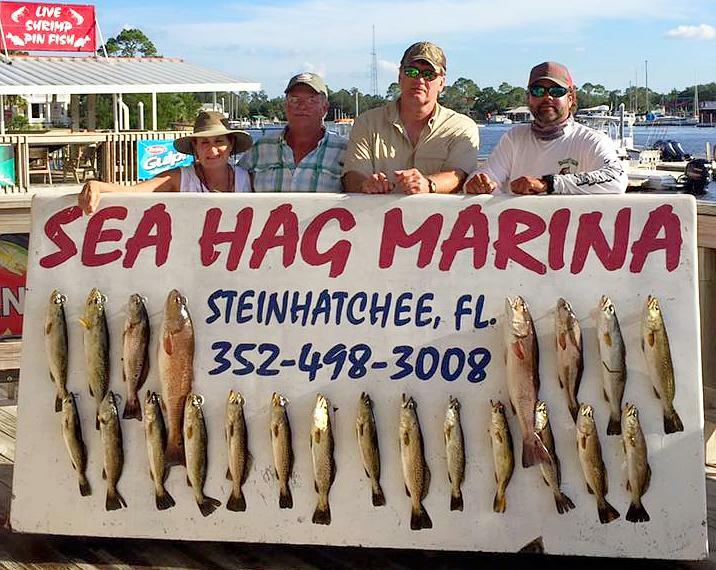 When bottom fishing for gags, always put out a flat line with a live bait on it for kingfish or maybe a stray cobia. It may be cold in December, but it’s a great month to fish if the weather is reasonable. 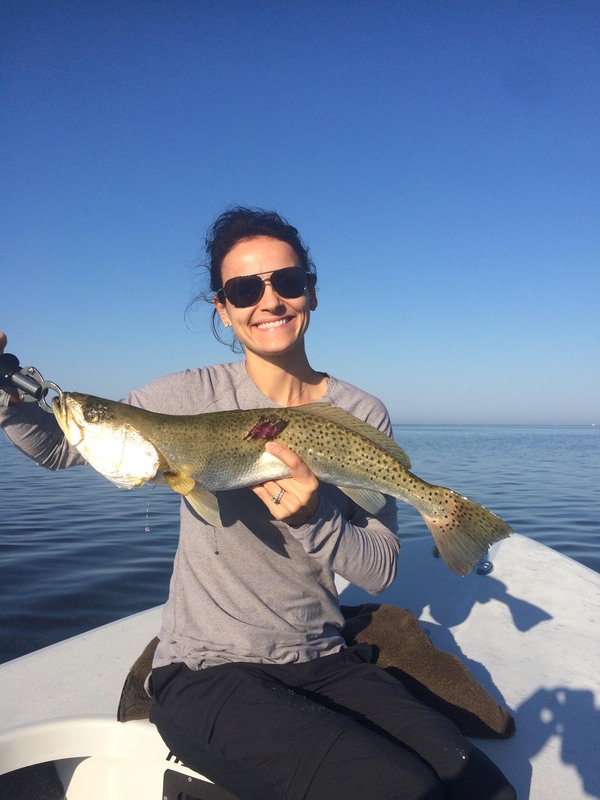 The trout continue to be found on the flats, especially out from creek mouths as they prepare for colder water. 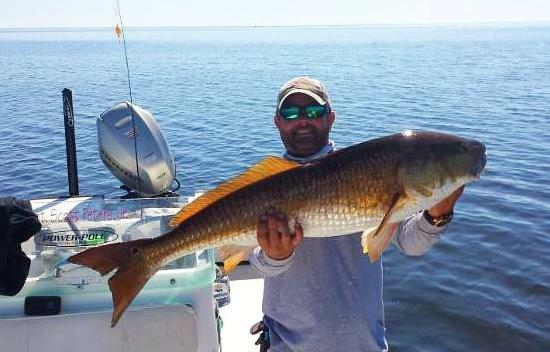 Reds are still crushing the flats. Most are slot but still some monsters about. 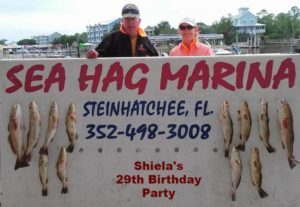 Look for the bait or mullet. The mackerel run has been crazy good with most over 4 lbs. 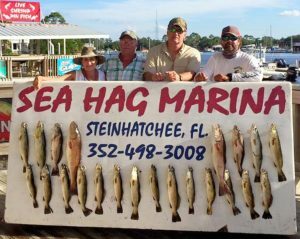 and there are still a few sand trout. Best bet is always to GOOOO fishing.